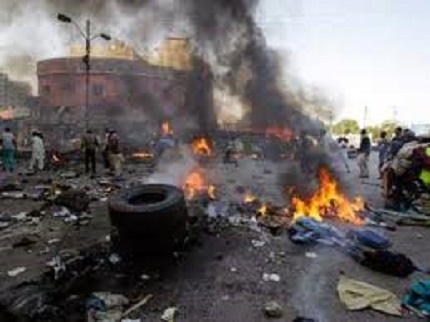 No fewer than four persons were killed in a suicide bomb attack on Thursday at Amarwa community of Konduga Local Government Area of Borno. The incident occurred at about 2 p.m. when a male suicide bomber infiltrated the village and detonated an Improvised Explosive Device (IED) strapped to his body. An eye witness, Bukar Fantai, disclosed that the bomber managed to sneak into the village disguising as a grain merchant. Fantai said that the insurgent first approached a shop keeper and offered sorghum for sale. “The suicide bomber detonated the IED, blew up himself, killing three other persons, while 13 others sustained injuries in the explosion,” he said. A competent security source confirmed the attack, saying that the wounded persons were referred to the University of Maiduguri Teaching Hospital (UMTH) for treatment.